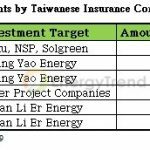 The goal of the Tsai Ing-wen administration in Taiwan to raise the share of renewable capacity to 40%, generation to 20% by 2025, as part of the nuclear-free homeland vision, poses as a major challenge for both the government and the private sector. That goal is a tall order, as up to now the achieving rate for the 2025 target for renewable-energy generation has reached only 6.8% for PV power and 16.5% for wind power, according to EnergyTrend. Although the rate for biomass energy has approached 90%, Taiwan can take advantage of its solid technological strength and proximity to Southeast Asia, to tap its huge potential, in addition to promoting exchanges among market players. As the world's second largest PV-cell producer, plus abundant sunshine, Taiwan has chosen PV power as the primary target in renewable energy development, aiming to raise PV power output to 20GW by 2025, the 10th largest worldwide, according to EnergyTrend. 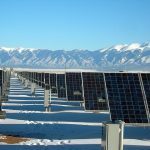 As a prelude, the government launched "two-year PV power plan" in mid-2016. Government's aggressive policy, plus relatively stable investment environment and subsidy for high-performance products, will attract both domestic and overseas funds, encouraging domestic companies to investment in PV modules and PV power stations, giving birth to a "made-in-Taiwan" vertical supply chain. "What matters is not only technology but also maturity and reception of the Taiwanese market," remarks Lin Ta-shan, vice president of TSEC Corp. Lin points out that in addition to PV cell, module, and power stations, TSEC is pondering to integrate PV power with energy storage systems, electric vehicles, and HEMS, pushing deeper and more extensive application of PV power in people's daily life. 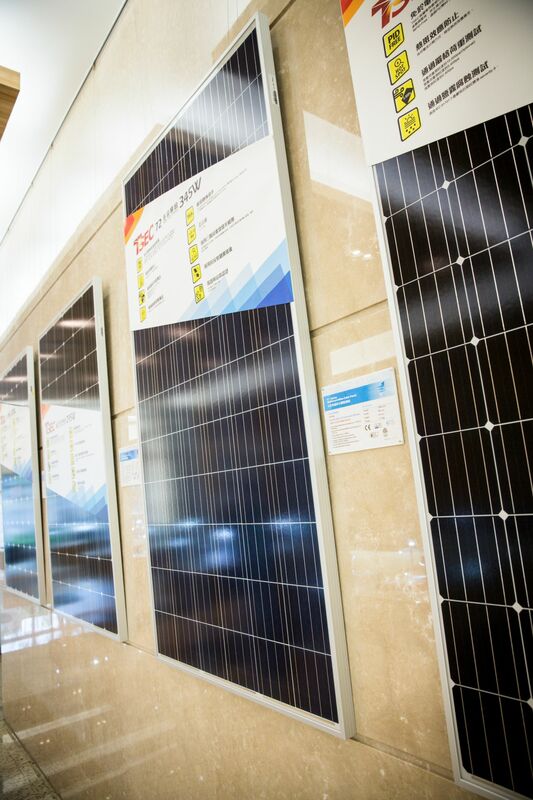 As a pioneering manufacturer of high-performance PV products in Taiwan, TSEC has benefited considerably from the market trend demanding high-performance products. Lin notes that in the face of strong competition from mainland China, Taiwanese companies in the line should determine optimal scale, choose right technology, and develop niche products. "High performance and niche products are inevitable choice for Taiwanese companies, which cannot compete with mainland Chinese counterparts in capacity and price," comments Lin. Based on the strategy, TSEC has deployed in high-performance PERC cell and planned to establish 500 MW high-performance module capacity in Taiwan, mainly for shipment to Taiwan, the U.S., and Japan. TSEC has kept considerable flexibility in its module production line, in order to accommodate new half-cut and stacking technologies in the future, thereby boosting module's wattage, according to Lin. He notes that local companies should develop optimal features under the government's 20GW target for 2025. Asia, mainly Japan, South Korea, and China, is the major market for biomass power, with supplying source for fuel materials (such as rice straws, fruit shells, wood chips, and pellets) being gradually shifted to Southeast Asia. As a result, Taiwan has outstanding geographic location to develop biomass energy industry. As a producer of dust-collecting equipment supplied mainly to wooden furniture factories since 1990, Tsung Chang Machinery stepped into the realm of biomass energy in 2010, producing wood pellet with wooden leftovers and shavings at wooden furniture factories as biomass fuel. 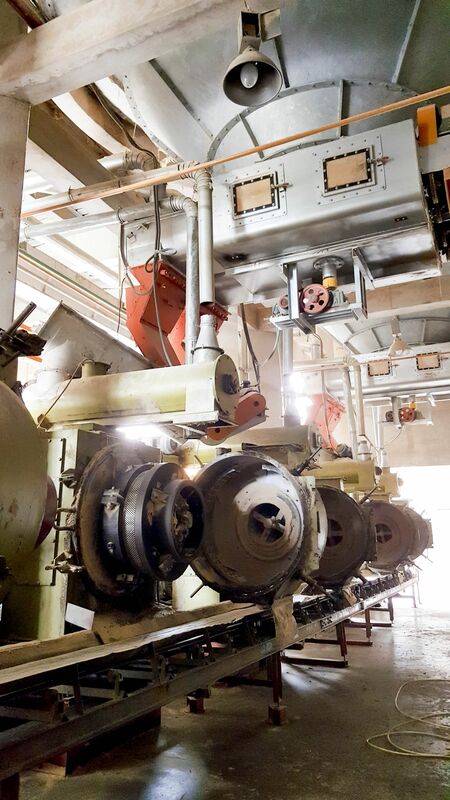 With the use of its self-developed wood pellet producing equipment, plus screening and storage technologies, its capacity is able to reach as high as 300,000 tons a year. The company's Vietnamese branch, established in 2002, is the first wood pellet producer certified by EU's ENPLUS in that country. In an interview with EnergyTrend, Liao Hsun-chang, director of Tsung Chang, points out that wood pellet are very safe to use in general, as they emit much less greenhouse gas and other pollutants in burning, and are much more suitable for use as fuel for base-load power. This has prompted countries like China to promote its use in major events, including the 16th Asia Games which took place in Guanzhou in 2010, according to Liao. Thanks to the launch of its RPS policy, South Korean has also become a major market for wood pellet in Asia, as well as the main buyer of Tsung Chang. In the wake of the Fukushima nuclear meltdown, Japan is actively installing biomass-fuel power-generating units as well, and is expected to become the largest market for biomass fuels in the future. Waste from burning of biomass fuel can be used for other purposes and remaining heat can be utilized in the production of warm air and water. For promoting the use of biomass fuel, Liao explains that Taiwan will have to revise its laws and regulations to regulate emission from the burning of biomass fuel, which differs according to the grade of biomass fuel and ratio between such fuel and fuel coal in co-firing. The tightened biomass fuel regulations will give future vendors a better understanding on how to properly handle and dispose these resources in the near future. To promote various renewable energies, including not only mainstream PV power and wind power, but also hydrogen fuel, biomass energy, and geothermal heat, TAITRA will hold PV Taiwan 2017, alongside several other renewable energy exhibitions, such as TIGIS and TIAP, at Taipei Nangan Exhibition Center during Oct. 18-20, which will function as the optimal platform for the exchanges of companies in this field.